We’ve got a cult following on this one. Have you tried it yet? Completely from scratch – fresh-ground flour with almonds and vanilla – dairy free with coconut oil. 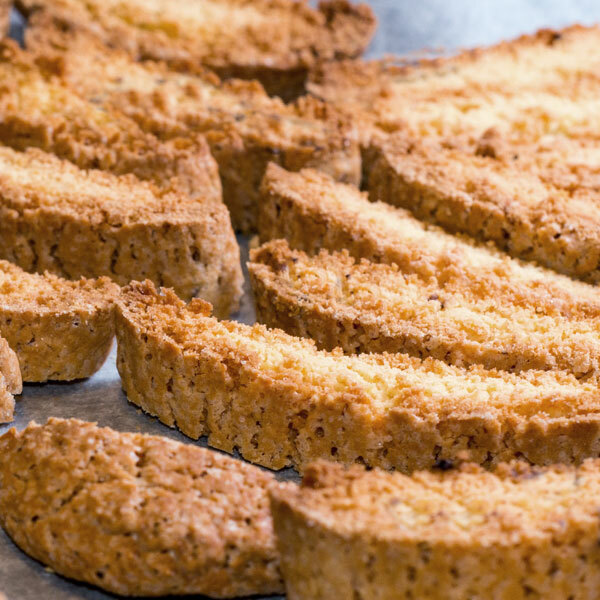 Our biscotti is firm enough to hold up to your coffee or milk but soft enough not to challenge your teeth.